Need a New Furnace Now? We�ve Got Four Brands to Love! So here we are again, poised on the cusp of the cold season’s return! Perhaps at the end of last winter, you noticed a few strange clanks or knocks coming from the furnace’s corner of the house or office. Maybe you crossed your fingers, sent up a little plea, and then forgot all about it when warmer weather arrived and it was time for A/C. But now cooler weather is coming again. Will your furnace last another long, cold Canadian winter? Is this the year you welcome a brand-new furnace into your life? Many of our new clients and long-time customers don’t know we also carry furnaces. Happily, through our connection with our sister company, Shipton’s Heating and Cooling, we are able to provide a comprehensive menu of products and services to assist with heating, cooling and air quality! In this post, learn about our top-notch, economical, energy-efficient furnaces and how they can save you money, time and tension this fall and winter. Often, finding the right furnace for your home is just a matter of figuring out which one best matches your needs, budget, air flow system and available installation space. We carry four different very good brands of furnace appliances: Coleman, Goodman, Bryant and Shipton’s. Each brand has many great features and benefits to offer with plenty of variety in fuel type to meet your individual needs. Choosing your furnace fuel is often a matter of what is available in your area as well as what your home or workplace is set up to use. This is why we offer several types of furnaces using different fuel types to make sure we have a furnace in stock that will meet your needs. And if you are reading this blog post thinking, “But I don’t have an air duct system, so how could you help me?” we don’t want you to worry. We also offer a great ductless furnace! Each of our gas furnace brands offers between 96 and 97 AFUE (annual fuel utilization efficiency) in a quiet, compact and Energy Star-certified housing. We offer four gas furnace brands: Bryant, Coleman, Goodman and Napoleon. Our Napoleon gas furnaces represent some of our newest furnace offerings. These gas furnaces can be as compact as they come so they can fit neatly into any size space. Napoleon gas furnaces are designed to heat quietly, evenly and efficiently for small, medium and large rooms on single or several levels. As the original unit owner of a new gas furnace, you will also enjoy a 10-year limited parts warranty, a 10-year heat exchanger unit replacement warranty and a lifetime limited heat exchanger warranty. If it is serious heat you are after, you truly can’t do better than a propane furnace. As a side benefit, propane furnaces are known to operate cleanly, efficiently and quietly. Many of our clients who live or work outside of service areas for natural gas fuel will choose a propane furnace out of necessity, only to later be surprised and delighted by the performance and savings. Our oil furnaces have a range of special features to fit any space size and keep your indoor air fresh and oxygenated as well as warm. Our models offer between 82 and 85 percent AFUE. Each furnace is fully insulated for quiet operation and comes with a 10-year parts warranty and a 10-year heat exchanger limited warranty (registration required). We proudly offer the COZY Direct Vent Counterflow Wall Furnace for our clients who do not have existing ductwork or simply prefer to avoid installing ducting. The COZY uses an extremely quiet, efficient forced airflow sealed combustion system to keep each room warm and cozy all winter long. The top of the unit draws in cooler air, heats it, and then delivers it at floor level where it’s needed most. The COZY can be used to heat a single room or can be connected through a zone system to heat several rooms or even several stories efficiently. Heat pump technology has improved a great deal over the last several years. 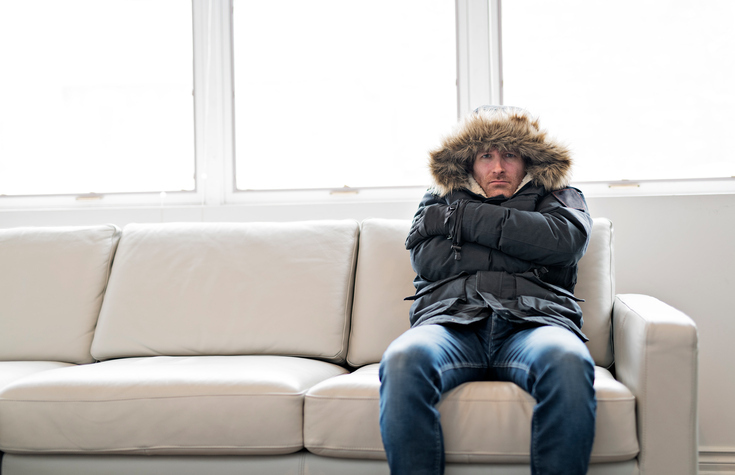 Today’s heat pumps are well able to cope with Ontario’s cold season with the exception of only a handful of the coldest winter days. We proudly stock two heat pump brands: Bryant and Coleman. We carry three Bryant brand heat pumps. These models provide between 16.5 and 20.5 SEER rating and can function effectively for both air conditioning and heating. Each heat pump comes with a 10-year parts limited warranty. All models offer extra features to minimize fuel use and noise and maximize comfort throughout the year. Our Coleman heat pumps offer between 14.5 and 18 SEER and use eco-friendly R-410A refrigerant. Each model we carry is designed to offer efficient and quiet operation on both heating and cooling modes. Here at Clean Air Solutions Hamilton, we love helping our customers save money while feeling healthier! Each of our furnace brands and models is hand-picked to deliver top-quality performance at an affordable price. If you are on the fence about a new furnace purchase this year, we suggest starting by scheduling your fall annual furnace maintenance through our sister company, Shipton’s Heating and Cooling. This will give you the information you need to decide whether to repair or replace your furnace. For assistance and advice about a new furnace purchase and other indoor air quality support, contact us online or give us a call at 905-544-2470. According to the U.S. Environmental Protection Agency (EPA), the key to improving your indoor air quality is quite simple. All you have to do is remove the airborne pollutants at their source and keep your home well-ventilated. Of course, this is often easier said than done, especially if you don’t have the tools you need to remove pollutants and ventilate your space. Luckily for you, here at Clean Air Solutions Hamilton we specialize in improving indoor air quality for our residential and commercial clients. Our goal is to provide you with simple, effective, affordable tools to permanently clean and purify your indoor air supply. Our ultimate goal is to help you stay healthier and avoid the short- and long-term impact of air pollution. In this blog post, we introduce our short list of favorite tools for improving the quality of your indoor air at home and at work. Today’s ongoing worldwide pollution problem has kept a continual spotlight pointed at indoor air quality helps and tools. There are many options available to help clean up your indoor air supply. But not all of these options are equally effective. In our air quality work, we focus on three specific indoor air cleaners that can be used alone or in conjunction with economical periodic routine maintenance to keep your indoor air supply pure and pristine. Specifically, we recommend the following air quality control tools: HEPA air filtration systems, ultraviolet light purification systems and heat recovery ventilators. Meet each one of these top notch air cleaners in this section. 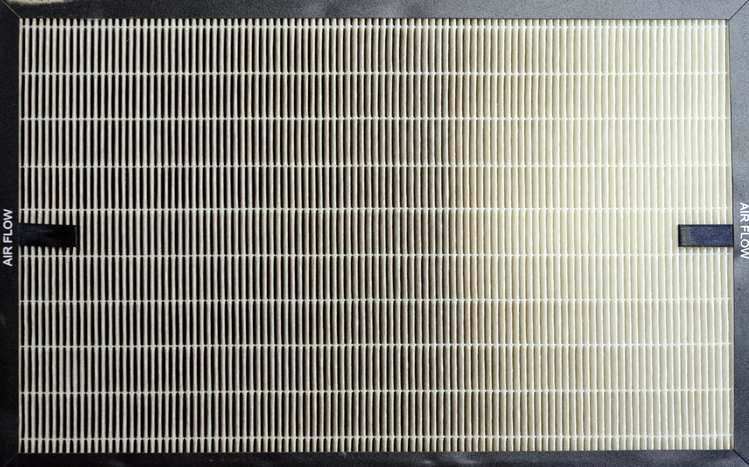 HEPA (high efficiency particulate air) filtration was first developed during the Second World War. Its goal was to protect scientists and researchers working to develop the atomic bomb from being exposed to toxic radiation. HEPA technology was so successful in this original job that it has since been adapted for use in hospitals and laboratories around the world. Even so many decades later, there is still no technology that is better at filtering out airborne toxins than HEPA. Today, you have two different basic types of HEPA air filtration systems to choose from: portable and central. Portable HEPA units can purify small and larger spaces of up to 1,000 square feet. Central units can be retrofitted to work with any ducted air delivery system to purify larger and multi-room spaces. If your home or workplace has carpeting and other furnishings, you can also use a HEPA vacuum cleaner to remove toxins that have become trapped in carpet and cloth. By far the most potent purification agent on this planet is our sun. The sun emits three different bands of ultraviolet light: A, B and C. A and B are what can cause sunburn and skin cancer when you are over-exposed to natural light. But C, the most powerful ultraviolet light band, is naturally blocked by the ozone layer that surrounds Earth. Ultraviolet light purifiers use ultraviolet band C to purify the air of toxins. Here, the action is different from how HEPA air filtration works. Rather than catching the toxins and keeping them out of your indoor air, the ultraviolet light actually damages the cellular structure of the toxins, rendering them inert and harmless to you. There are two basic types of ultraviolet light air purification systems: portable and central. Portable units can purify the air in a space up to 1,000 square feet. Central units can work together with a ducted air delivery system to purify larger and multi-room spaces. Health Canada emphasizes the importance of adequate ventilation for maintaining indoor air quality. Ventilation through natural means, such as opening a window or door or allowing for seepage through small cracks, has become much more difficult as homes and office buildings are built to be more airtight. New-construction building strategies are now able to produce such airtight spaces that ventilation is almost nonexistent! This poses a real health threat when the indoor air becomes toxic and stale. A heat recovery ventilator, or HRV, is the preferred method for ventilating airtight spaces. Not only can a heat recovery ventilator provide a continual source of fresh, oxygenated air, but it can also assist with balancing indoor humidity and removing toxins. Many home and business owners have no idea if their indoor air duct systems have ever been professionally cleaned and sanitized. This may not be so concerning if you are occupying a newly constructed space, but if you live or work in an older building, you may have quite a bit of potentially toxic built-up debris hiding in your air delivery system. A professional indoor air duct cleaning takes less than half a day in most cases. With the help of a commercial-strength secure vacuum system, all trapped debris is vacuumed out of the air duct system, sealed and transported away from your space. A sanitizing agent (and, if you wish, a deodorizer) is then applied to neutralize any remaining toxins. This service may be necessary only once every five to 10 years, or after a major renovation or mould and mildew cleaning service. But it can make such a difference that many clients say their indoor air actually smells cleaner! We also recommend at least a once-annual professional dryer vent cleaning service. This serves two health purposes: it controls against the risk your dryer may one day start a home or workplace fire, and it removes an additional source of ongoing airborne pollution from your space. Here at Clean Air Solutions Hamilton, we are passionate about keeping you, your family and your workers healthy by providing economical, efficient, long-lasting indoor air quality solutions. Contact us online or give us a call at 905-544-2470 to learn more about the best indoor air purification, filtration and ventilation systems to suit your specific needs. The clothes dryer is one of the most popular appliances in Canada. In today’s all-go, no-stop, continually hectic daily routine, who has time to line-dry their clothes anymore? Unfortunately, as CBC News recently reported, clothes dryers are one of the leading causes of home fires across Canada annually. The U.S. Fire Administration states that 34 percent of home fires in North America are caused by a failure to clean the dryer regularly. Lest you think it could never happen to you, consider that Fire Prevention Canada cites “lack of maintenance” as the single leading cause of clothes dryer-related home fires. Clothes dryer fires can happen to anyone. But there is something you can do that will drastically reduce your risk of ever having a dryer fire happen to you. Read on to find out what you need to know! All it takes is a single spark landing in a pile of dry trapped lint for a home fire to start. However, the most common way that dryers start home fires is when the trapped lint deeper inside the unit begins to block hot air from escaping, and this trapped hot air ignites the lint, which starts to smoke and then flame. Fire Prevention Canada recommends taking these simple actions to ensure you are not using your clothes dryer under unsafe conditions that could lead to a home fire. Always use your clothes dryer with a clean lint filter in place. Clean your lint filter trap after every dryer cycle. Wipe off any accumulated lint around the drum after every dryer cycle. Check your air exhaust vent and pipe to make sure it is not obstructed or clogged with lint. Do not leave the dryer on when you’re not home. Fire Prevention Canada cites these warning signs as possible evidence your clothes dryer may be unsafe to operate. 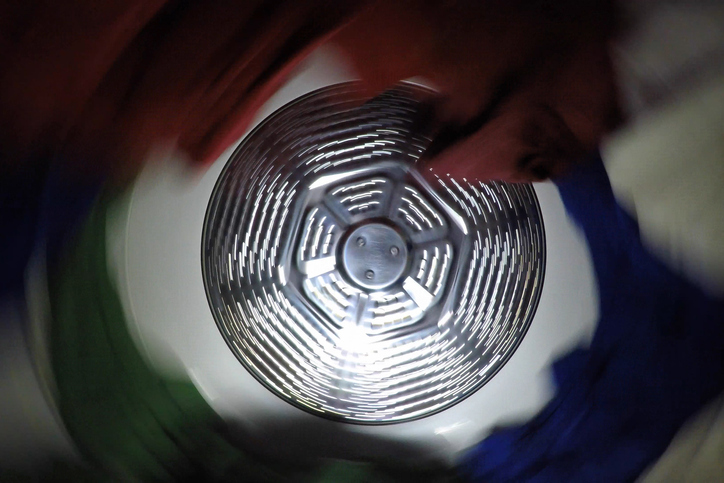 The lights dim or flicker every time you activate your clothes dryer for a dry cycle. You see sparks when you plug in the clothes dryer for use or unplug it after a dry cycle. The clothes dryer electrical cord is warm or hot to the touch after a dry cycle. The clothes dryer itself (or your clothing) is very warm or hot to the touch after a dry cycle. The clothes dryer is frequently the cause of a tripped circuit breaker or a blown fuse. Your average drying times are increasing gradually beyond the typical 45-minute dry cycle for a single load of clothing. Just looking at your clothes dryer right now, it may be challenging to believe it could potentially cause a fire in your home one day. This is especially true if you are a conscientious user who always cleans out the lint filter trap in between loads. However, if you can’t recall the last time you did more than clear out the lint filter trap to maintain your dryer, the appliance you are staring at could very well be a fire risk right now! Many homeowners don’t realize that the lint trap filter isn’t the only place where lint and debris can build up inside their clothes dryer. This is why just cleaning out the accessible lint trap isn’t enough to reduce your risk of a home fire. Here at Clean Air Solutions Hamilton, we have the opportunity to see firsthand how rarely residential clothes dryers are given the full course of preventative maintenance they need to stay fire-safe for the long-term. We are always delighted when a client reaches out to request a dryer vent cleaning, because we know how vital this maintenance is to preventing home fires! Our 5-Step Clothes Dryer Cleaning Service Saves Lives! Thoroughly clean the clothes dryer exterior, removing trapped lint, dust and debris from the accessible lint filter trap, exterior vent tubing, exterior exhaust vent cap, behind and beneath the unit. Dissemble the dryer unit and use a high-power, professional vacuum to securely clean out the interior of the unit, the drum casing and the vent tubing. Check your clothes dryer for excess warmth on the unit itself and the electrical cord. Check your unit for carbon monoxide emissions. Check and verify that your clothes dryer is sitting flush and level on the ground. In addition, if we notice that your exhaust vent tubing is vinyl rather than flexible aluminum, we may recommend that you have the vinyl removed and install aluminum instead. Scheduling a professional dryer vent cleaning annually is the best way to reduce your risk of a dryer-related home fire. But there are also things you can do every time you run a dryer cycle to lessen the risk that your dryer might one day start a home fire. Don’t try to dry items that have been in contact with flammable cleaning agents. Don’t dry foam padding, foam pillows, shoe inserts and similar natural or synthetic materials in the dryer. Check and clear exhaust vents regularly, especially during winter when the vents can freeze. Don’t use liquid fabric softener with all-cotton items (instead, use dryer sheets for these items). Closely monitor any increases in drying times and don’t use your clothes dryer again until you can identify the cause and make repairs. Contact us online or give us a call at 905-544-2470 to schedule your professional home clothes dryer vent cleaning and preventative maintenance service call!